Like anyone, you probably think you have the most special mum in the world. You want her to feel appreciated all the time for their sacrifices and love that she gave while raising you. It’s no wonder that there is a special day like Mother’s Day to make your mum feel special. When it comes to send Mother’s Day flowers, the key is to remember her with the sentiments of flowers, chocolates, and a wide array of other gifts. 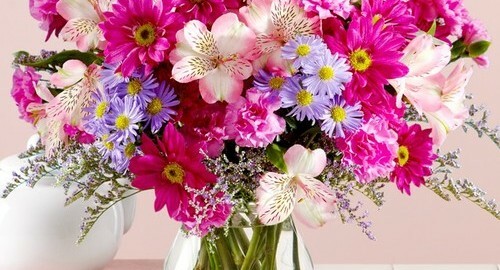 Flowers are the most popular choice for any mother’s day celebration. Mum’s like flowers, no matter what they look like. And when it is a special gift from her offspring, it will mean even more. You could do something simple or big and loud for Mom’s bouquet. Regardless of what kind flowers that are selected, they will be completely embraced with a full loving heart. There are all kinds of flowers that can be given to a mum on Mother’s Day. The best choice would be a selection of flowers that she considers to be dear to her heart. These kinds of flowers will make the biggest impact on her day. You can choose flowers related to her birthday, favourite colour, or theme. Flowers such as lilies, orchids, roses, carnations, daisies, daffodils, or tulips are just perfect for any Mother’s Day arrangement. Sometimes, certain types of flowers are seasonal while others can be found year round. The latest technology and greenhouse painting cultivate many different types of flowers. 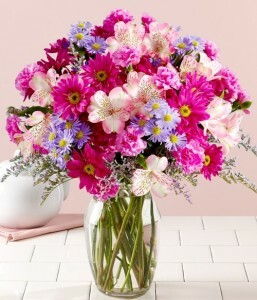 Take time out to send her mother’s day flowers. When you send flowers it is important to know that you are not limited to just fresh cuts because some are only available during certain seasons and it is quite difficult to procure them even with options of being raised in a greenhouse. There are times when a customer may decide to select artificial flowers, which in some cases can look just as real and lovely as the fresh cut flowers do. Today’s technologies allow for flowers that can be created in silk fashioned that will look beautiful all year round. 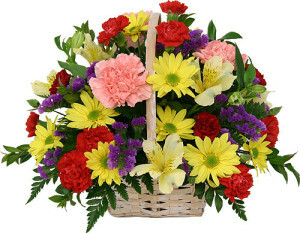 It is a really nice touch to have the flowers presented in a beautiful basket or bouquet settled in a beautiful vase. Floral designers are known for letting their creative juices flow, and in doing so, some of the most gorgeous designs come together. There are accessories that can accompany some types of flowers to make the floral presentation much larger. The floral presentation you are sending to your mum doesn’t have to be expensive. The right kind of accessories, wrappings, and foliage can make Mother’s Day look amazing and exquisite. A great gift for Mother’s Day is any floral arrangement with stalks that are tall and long. It allows mum to see the flowers rising up out of the vase and it will serve as a reminder of just how special you think she is. Some occasions may allow for a centrepiece arrangement. No additional work is required for these arrangements.